Habitat: It grows wild in the fields on the shaded area in the lowlands to 900 m above sea level. 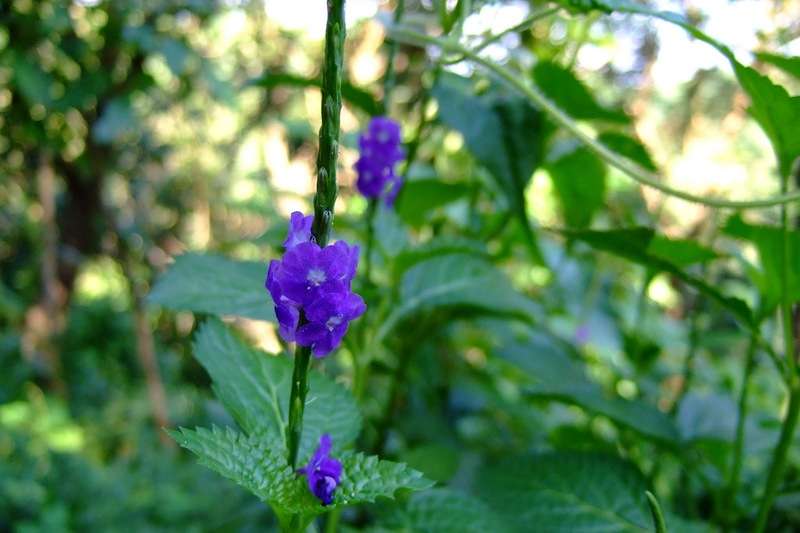 Description of the plant: Plant shrubs, erect, 20-90 cm tall. Woody stems, round, branched, whitish green color. Single leaf, oval, pointed tip, edges, tapered base, 4-9 cm long, 2.5-5 cm wide, pinnate bones, hairy, green color. Compound interest form of grain, short stalk, crown shape of the tube, the inside of the white-haired, purple color. Fruit form of grain, fruit green light after dark black. Chemical Ingredients: Glycosides; Skakitarfen; alkaloids. Efficacy: blood cleanser; anti-inflammatory; diuretics. Jarong Leaves 7 strands; 110 ml of water, Created infusion or poured boiling water, drink 2 times a day morning and evening; each time drank 100 ml. Jarong leaves 4 g; Sambang colok ( Aerva sanguinolenta ) 4 g; 110 ml water, boiled or brewed, 1 time a day morning to drink 100 ml.